Signup today and leave your worries behind! InTouchOnDemand (ITOD) is a comprehensive, online Association Management Software designed to manage your Bar Association in the cloud. No surprises with your technology budget. ITOD AMS is an all-inclusive cloud based Association Management Software for all business aspects of your Association or LRS, for one bundled, affordable yearly license fee. All ITOD modules, Membership, LRS, Events, Foundation, etc., are integrated in a single platform. Benefits to you? Duplication of records is eliminated, no more updating in multiple systems ensuring better outreach and marketing to your community. Realize the full potential of ITOD. Calendar, Donation and LRS widgets are available to easily integrate with your association website. Keep pace with on-the-go members and customers with the ITOD mobile friendly system. When using our AMS, you are able to provide convenient services whenever and where ever for your members, which in turn keeps your Legal community engaged. Add on our iPhone or Android Application for additional Community benefits. PCI Payment gateways are seamlessly integrated to process transactions quickly and securely in all modules, including members’ dues, events registration fees, LRS fees, donations, or payments for products and services. IntelLinx uses industry leading cloud technology and best practices to secure data and transactions. IntelLinx secures all aspects of your data transmissions and storage. We have redundant date centers with continual backup using world class nationally recognized providers. Built exclusively for Bar Associations. Powerful, easy-to-use functions tailored to Bar Management. Fully integrated modules for online Membership, Event Management, LRIS, CLE Certifications, ADR/Fee Disputes, Court Programs and Foundations. Surprising affordability: low setup cost, no hardware or software expenditures and no more expensive maintenance contracts. Integrates seamlessly with your current web site or we can design a new website for you. The Mobile Friendly system is modern and convenient for your members and staff. Automatically get every new ITOD feature, every enhancement, even major upgrades, at no extra cost. Reduced technology risks and reliable services at a predictable monthly cost. "The IntelLinx staff are a cracker jack team with which to work – professional, helpful, very timely – a pleasure and I’d do it again with you in a heartbeat." Somerset County Bar Association/Bar Foundation. "We're very happy with the software. Our LRIS Director previously had to spend 3 days sending out monthly update requests to our panelists with our old system, and now it only takes a matter of seconds! 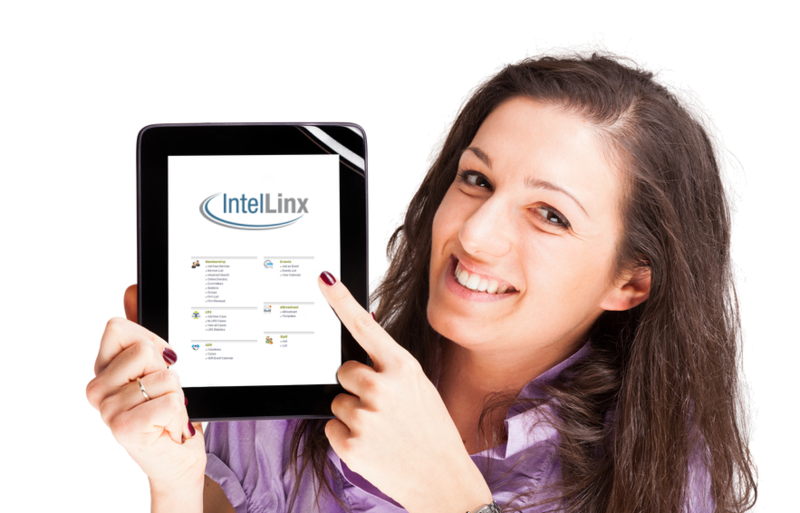 IntelLinx has been very responsive to our requests, and up-front about what can & can't be done. They are truly a pleasure to work with, and are very accommodating and understanding of our needs." "I recently used InTouchOnDemand on-line membership system to update and renew all our Attorneys. It was so easy to navigate, well-organized and user-friendly." "We are extremely pleased with the LRS Module; the referral process is bliss. The Customer Support is unsurpassed in the quality of customer service, and their commitment in taking care of any unforeseen issues. We highly recommend IntelLinx’s InTouchOnDemand to other Bar Associations and/or Referral Services". "Intuitive, Easy to use, Professional / Clean Appearance, Simple to use." "We are extremely pleased with InTouchOnDemand and would highly recommend it to other Bar Associations throughout the country. ITOD integrates the myriad of programs and functions we manage, while providing higher efficiencies that minimize staff time in all areas."